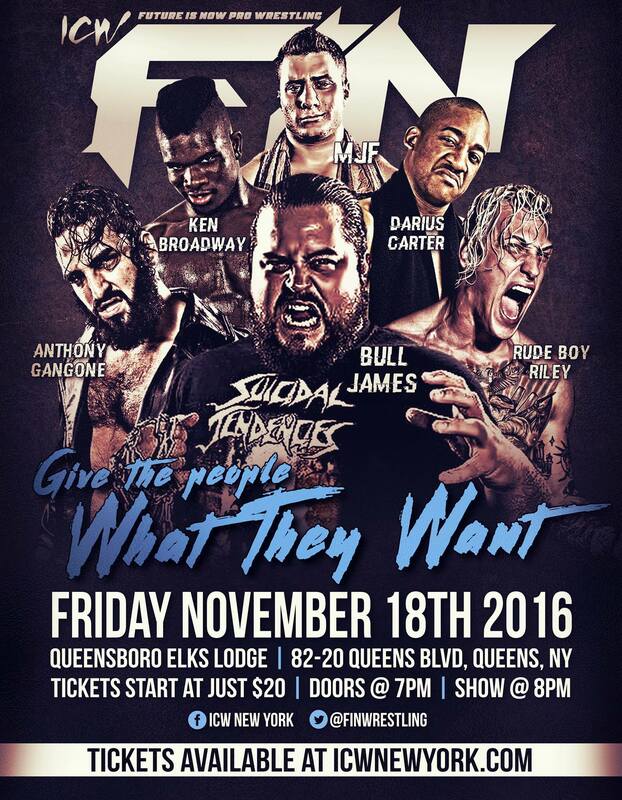 Everyone wants to make a good first impression but the Future is Now Wrestling promotion made an impact of unprecedented proportions on Friday, Nov. 18. The young promotion took the storied hall of the Elks Lodge in Queens, NY with the best young and hungry talent among its ranks. The action was crisp, the bumps were hard, the crowd was hot and the wrestling was fantastic. The night gave the crowd passion and fire that spells greatness for the young promotion. Anthony Gangone got the action started parading into the Elks Lodge with the House of Glory Championship. 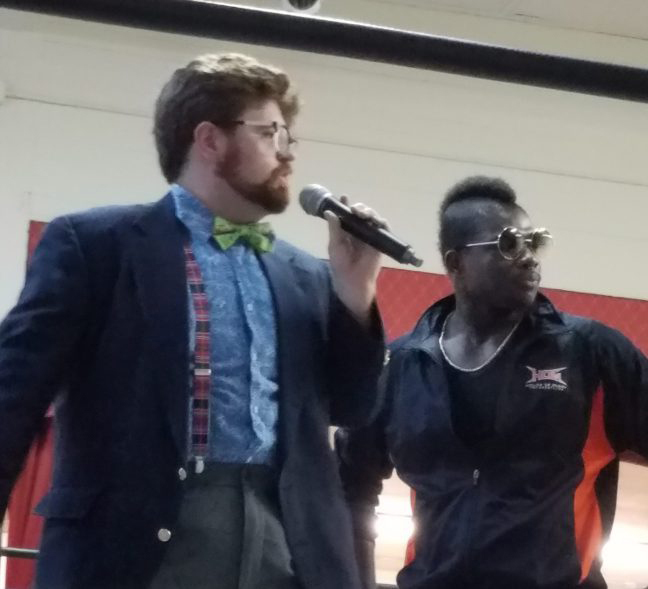 Spouting off about his supremacy, he was quickly interrupted by former NXT and Current Ring of Honor star, Bull James. James had the crowd squarely on his side as Gangone barely got a word in edgewise. 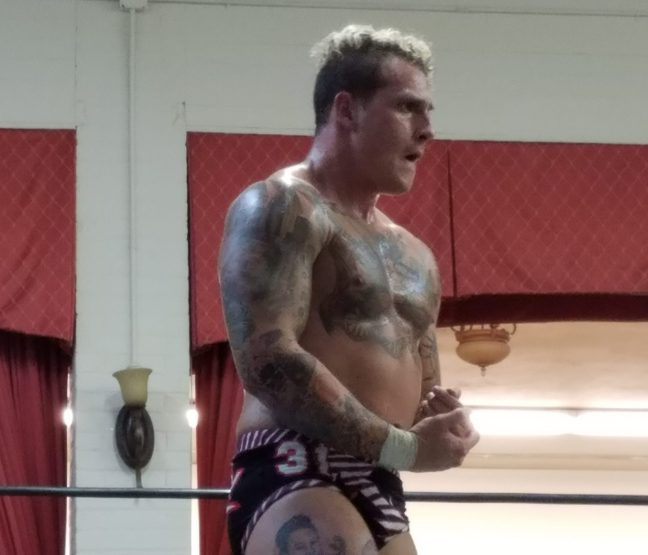 House of Glory Champion Anthony Gangone Defeated vs. Bull James: James and Gangone matched up well. The former NXT star grounded the much faster Gangone with solid lockups and old school chain wrestling. James moved much more quickly than we are used to seeing. Mr. Darius Carter w/ T.K. 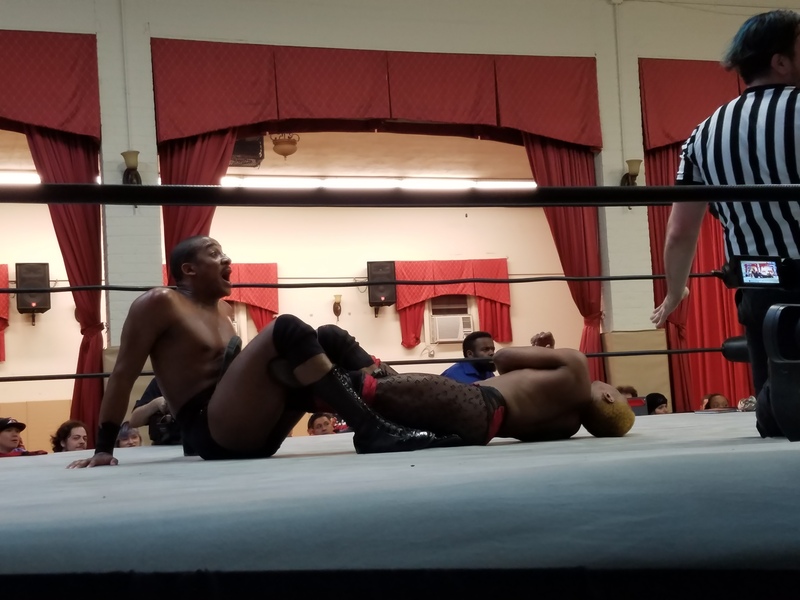 Luthor V vs. Sonny Kiss “The Concrete Rose” Fought to a Draw: Carter’s fans donned their Guy Fawkes mask as the wrestler basked in the admiration of his fandom. However, Kiss put a damper on that celebration as the acrobatic wrestler took Carter to task on several occasions in a highly-contested match that ended in a time-limit draw while Carter had Kiss in a Figure Four Leg Locl. Fatal Four Way:Vinny Pacifico Defeated Sebastian Cage, Evander James, Grim Reefer: The action in this match was fast as the young Pacifico outlasted his opponents, only to be broadsided by Blade Valak. Valak ruined the victory pummeling the young star setting up a feud for the future. Segment: Ken Broadway with Matthew Ryan Shapiro: Shapiro came out to talk up Ken Broadway but was interrupted by Mike Tremont setting up the no disqualification match later in the evening. “The Greek God” Papadon Defeated “Five Star Stud” Joey Ace: The Greek God showed incredible versatility in the ring with powerful strikes and a good repertoire of moves. Ace did hit some high flying offense but Papadon’s offense was too much as he won with a Piledriver. New York Wrecking Krew (Chris Seaton & Smoothe Blackmon) with Matthew Ryan Shapiro Defeated The Zoltan (Kris Kage and Whiplash with Raze): Thanks to interference from Ryan, Blackmon got the win. Universal Intergender Challenge Colossal Mike Law was Defeated by Juba in a Non-Title Match: Law came out to challenge anyone worthy of facing him, but not for his title. Law’s challenge was answered by the towering Juba who got the win. The Friends Of Tom: J George and Cannonball with A.P. Mike and Bobby Blaze Defeated The Super Savages: Mantequilla, and Caveman: With so many wild personalities, this was a crazy encounter. FOT got the win with, out of all moves in this insane match, a Rollup. Mike Verna Defeated Azrieal: Verna used his power to hold off the heel-fueled offense of Azrieal. Verna hit the Powerbomb for the win, which caused the crowd to blow their top. Rude Boy Riley Defeated Maxwell Jacob Feinstein: After a wild series of counters and back and forth offense, Riley hit his X’ed Up Knee for the win. No DQ:Ken Broadway w/ Matthew Ryan Shapiro Defeated “The Bulldozer” Matt Tremont: The match was stiff, as Tremont took no prisoners with his fists, but thanks to help from Shapiro in the form of a shot with a book, Broadway hit the Enzigieri, which set up a Running Kick for the win.